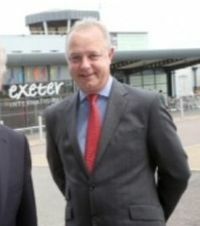 John Spooner is chairman of RABA and managing director of Airport Direction Ltd, a specialist consultancy. He was formerly MD of both East Midlands and Manchester Airport. He is also a keen private pilot having won both the King's Cup and Schneider Trophy air races. The UK Regional and Business Airports Group (RABA) was established in 2013 with the immediate aim of ensuring the Airports Commission took into account in its deliberations the massive contribution and specific needs of the UK’s smaller regional airports, those with less than three million passengers per year. Our focus is not on issues of common interest to the whole airport sector in the UK, rather it is solely on those of specific interest to smaller operators, where our members feel a clear and distinctive voice is needed. The driver for the Group today is our strong perception that Government misunderstands or is blind to the role of the UK’s smaller airports, and tends to adopt “one size fits all” policies tailored to the needs of larger UK airports, who enjoy enormous benefits from economies of scale and have the resources to make sure their voice is heard. If these vitally important smaller regional and business airports are to overcome the disadvantages simply of being 'smaller', we need to collaborate and work harder to gain support from Government, our regulators and our local stakeholders. In the UK nearly three quarters (72%) of all commercial airports handle less than three million passengers a year. RABA represents over 30 (around 75%), and we have developed links with similar airports and their trade associations in Ireland, France and Sweden – all of whom are experiencing similar challenges but are approaching them in different ways. Our members catered for over 10 million passengers in 2014 (7% of the UK total); for domestic passengers this figure was 22% reflecting the airports important economic and social role in connecting all parts of the UK and providing gateways to onward global connectivity. RABA Group’s members handle 25% of all UK aircraft movements; almost 50% of all military movements at civilian airports and account for 24% of all business aviation movements. Since our foundation, RABA has promoted the interests of smaller regional airports either by meeting with, or making formal submissions to, the Aviation Minister, Airports Commission, Department of Transport, Transport Select Committee, CAA and various bodies within EU. We also met with Heathrow and Gatwick airports so as to reach an objective view on which of the Commission’s proposals best serve the connectivity needs of the Regions and Crown Dependencies of the UK. The deliberations of the Airports Commission – and the Government’s subsequent reaction – are of enormous importance to us and the markets we serve. If the National Economy is to be rebalanced and One Nation emerge, we have to make absolutely certain that the unique contributions which smaller airports can make to enabling regional economic development are recognised and promoted. RABA’s members are amongst the many airports that have lost their regional air service to the UK’s main long-haul hubs, and hence were the frontline victims of the intensifying slot constraints in the south east. We are determined to ensure that these regions are beneficiaries of any hub expansion – unregulated market forces will always favour the huge conurbations that can support dense routes with high traffic volumes – and the Government must intervene if it is to stimulate and safeguard these economic lifelines to realise their goal of developing the economies of our regions and Crown Dependencies. We worked hard to ensure that UK regional connectivity was a prominent component in the Commission’s work and we were heartened that it became one of the explicit evaluation criteria in their subsequent deliberations. Our engagement with the short-listed south east runway promoters also confirmed that each appeared to recognise that some form regional route promotion, and ideally long-term protection will be required as part of their scheme. With this in mind, we have recently negotiated a Memorandum of Understanding with Heathrow called The Regional Package. This provides the foundation for our lobbying of Government that encouraging the return of regional air services is not only possible but that Heathrow see these services as being an important element of that airport’s National role. On that basis, we were able to endorse the Heathrow option as offering the cities and regions our members serve the greatest benefits of any runway expansion option in the south east, and Heathrow has agreed that legal mechanisms should be prescribed to ensure delivery of a more extensive network of domestic connections. Public Service Obligations (PSO) are one likely option to achieve this, but there may be others; all will be explored by Heathrow and RABA in discussions with the UK Government. Whichever means is chosen, the UK Government will need to review and adapt their current interpretations of EU State Aid, slot and PSO regulations to facilitate this clear objective. The chosen mechanism(s) must also cater for the special status of the Crown Dependencies (Jersey, Guernsey, Alderney and Isle of Man airports which are also RABA members).